Industry is an important contributor to Ivory Coast's GDP at around 29%. The most important industry sub-sectors are the agro-industry (see list: Top Agro-Industrial Companies in Côte d'Ivoire), the chemical and lubricant industry (see list: Top Oil and Gas Companies in Côte d'Ivoire) and the manufacturing industry, with a minor contribution from the pharmaceutical (see list: Top Pharmaceutical Companies in Côte d'Ivoire) and the mining industry (see list: Top Mining Companies in Côte d'Ivoire). The development of processing industries, especially in the Abidjan region, has been significant. Bouaké has become a large industrial center, and numerous thriving industries have been built up in the forest zone of the southern coastal region. Some of the companies in this list overlap and have multiple activities such as IPS WA, which is in the agro-industry as well as the manufacturing industry. Ivory Coast Industry The Ministry of Industry and Mines is responsible for the implementation and the monitoring of the Government’s policy on industrial development, promotion of the private sector and SME/SMI. Ivory Coast Industry The Chamber of Commerce and Industry of Ivory Coast represents the interests of Trade, Industry and Services stakeholders. 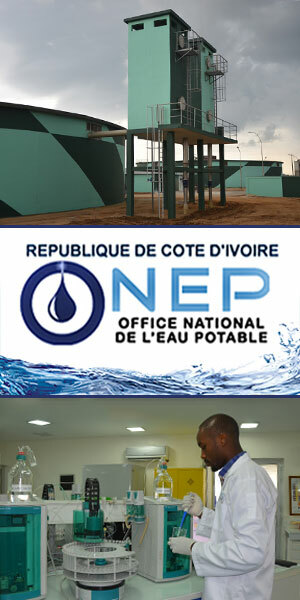 Ivory Coast Industry IPS (WA) is focused on the development of the industry and infrastructure sectors to support economic development in the countries in which it operates. It is run in accordance with a strict ethos. It primarily functions for an economic purpose with the goal of creating value and generating revenue. Ivory Coast Industry SOTICI was established in 1973 and is the first manufacturer of PVC and Polyethylene (PE) pipes and PVC fittings in West Africa. The 150 employees at SOTICI are committed to providing the best quality products and services. SOTICI was ISO 9003 certified in 1998, ISO 9001:2000 certified in May 2003, and ISO 9001:2008 certified in 2009. The company's products are exported to more than 26 African countries. Ivory Coast Industry A dynamic company manufacturing SEMCO, PVC pipes, plastics, paints and its derivatives. Ivory Coast Industry Industrap is a factory producing chemicals in the heart of the industrial area of ​​Yopougon. Ivory Coast Industry Established in 1971, SITAB is a tobacco and cigarette manufacturer. Coralma (France) is a major shareholder. Ivory Coast Cosmetics Industry Established in 1965, Nouvelle Parfumerie Gandour has extensive experience in the field of perfumery and cosmetics. Years of research allowed the creation of quality products, always putting first the health and well-being of the customers. Ivory Coast Cosmetics Industry COPACI has been producing quality perfumes since its establishment in 1990, using the latest technologies and providing high quality products that suit the African and international standards. Ivory Coast Cosmetics Industry Siparco is a company acting in the beauty products, fragrance and perfume segments. Ivory Coast Cosmetics Industry Thanks to 24 years of experience, SIVOP is a reference in the cosmetics and perfumes market. Its rigor regarding the quality of its products has positioned SIVOP as an active and dynamic group, guided by a permanent pursuit of excellence.